A new venture owned by businessman Kevin Lagan hopes to build 1,500 homes next year and is eyeing areas most hit by the housing shortage. 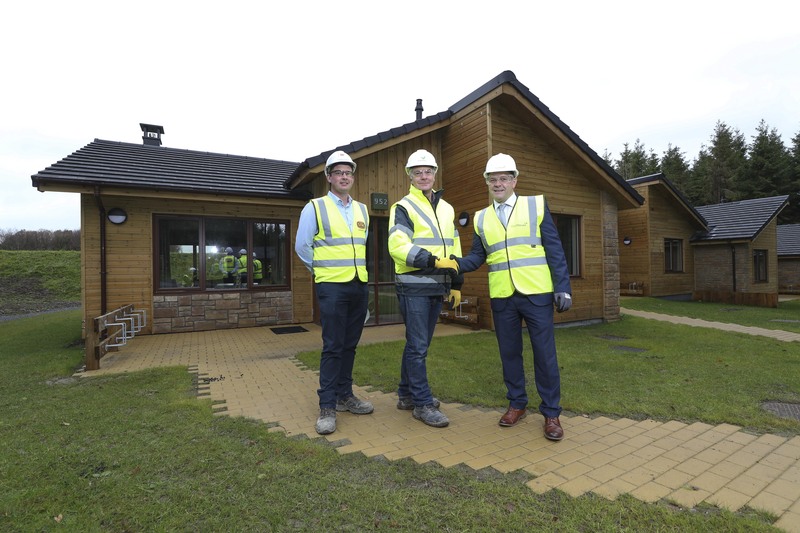 Mr Lagan has invested €20 million in Limavady, Co Derry-based Fasthouse, a specialist in rapid-build homes, which has just finished work on 466 holiday lodges for main contractor, Sisk, at the Center Parcs resort in Co Longford. Fasthouse is understood to be in talks with contractors in the Republic about the possibility of joining forces with them to build homes in places where demand for housing is high, particularly in the greater Dublin area. The company will have the capacity to produce 1,500 new homes next year more cheaply and quickly than conventional building methods. Fasthouse builds homes by making insulated wall panels to the customer’s specification in its Limavady factory. These are then fixed to a concrete base at the actual site. It is planning to expand its businesses in Ireland and Britain next year. Fasthouse’s main focus is likely to be the Republic, which it hopes could account for around two-thirds of sales. Fasthouse workers built the 466 holiday homes in Center Parcs in 34 weeks. According to the company, its factory produced five houses a-day, using 14,000 wall panels. Sean Fox, Fasthouse sales and installations director, explained that doing the work in the factory meant less time and cost on the site. He argued that it could make a “huge contribution” to the Irish residential market. Sisk was the main contractor on Center Parcs, the first such resort in Ireland, and hired Fasthouse to build the lodges. Cormac Fitzpatrick, Sisk’s senior contracts manager, said Fasthouse’s approach meant construction was “lean” and efficient. Center Parcs was Fasthouse’s biggest project to date. The company has also built holiday lodges for Killyhelvin Lakeside Hotel in Enniskillen, Co Fermanagh, and some residential developments in the North and in Britain.